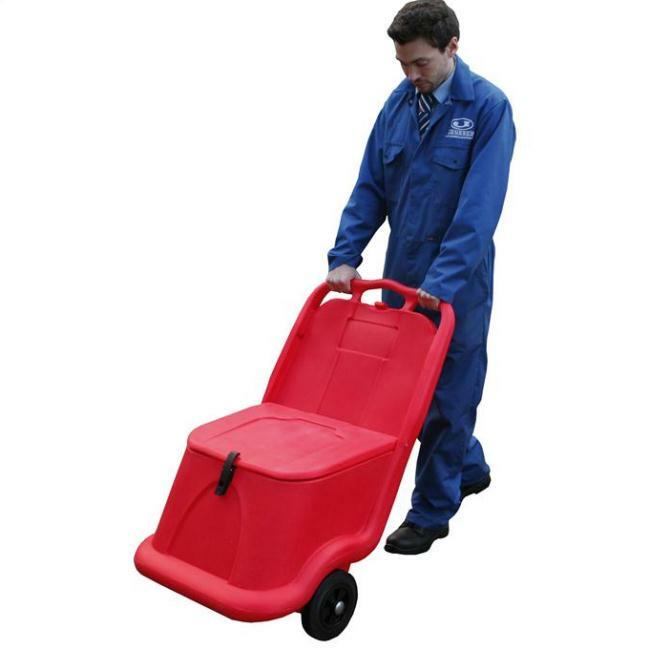 The UniKart is a mobile solution to various applications. 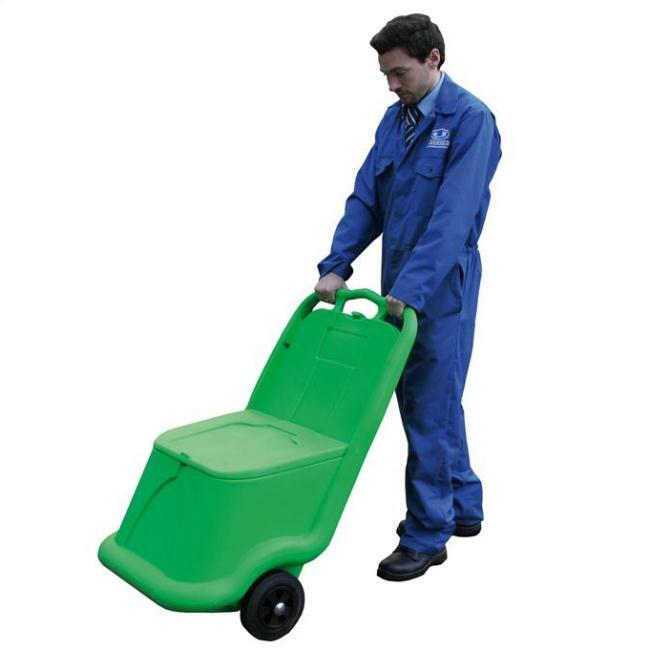 Suitable for the storage and moving of materials such as grit / salt, rock salt, absorbents, fertilisers, animal feed, garden chemicals, coals / logs and many more. 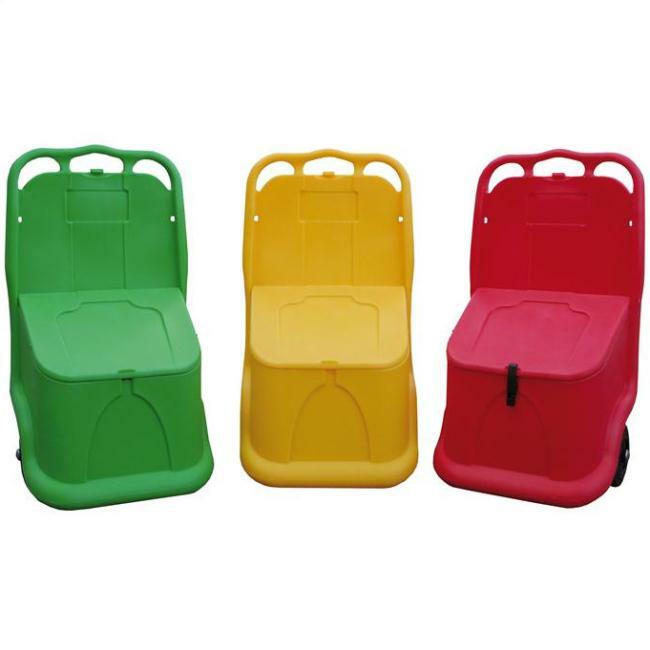 The UniKart is suitable for both indoor and outdoor use. Will fit through standard size doorways. 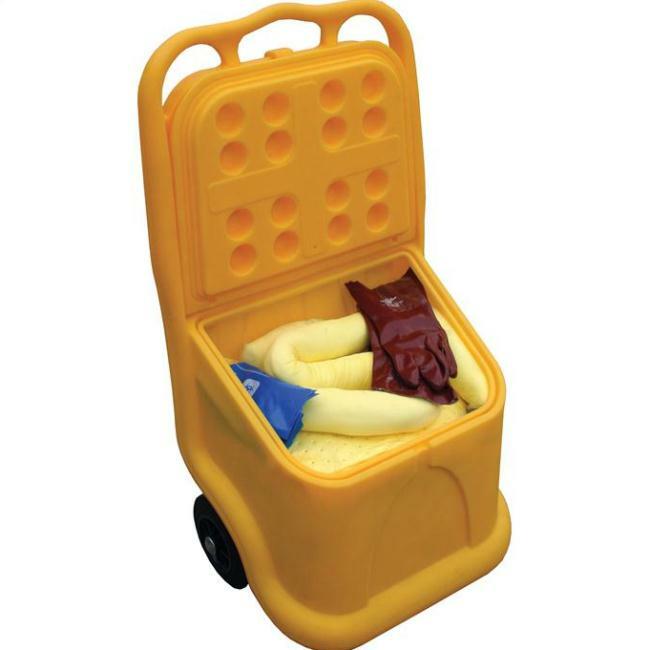 Manufactured from Polyethylene, a tough and durable, UV-stable material. Features a slanted lid for water run off and also stops snow/ice accumulating during winter weather. To enable continued ease of loading / dispensing of contents, the lid can be secured in the vertical position. 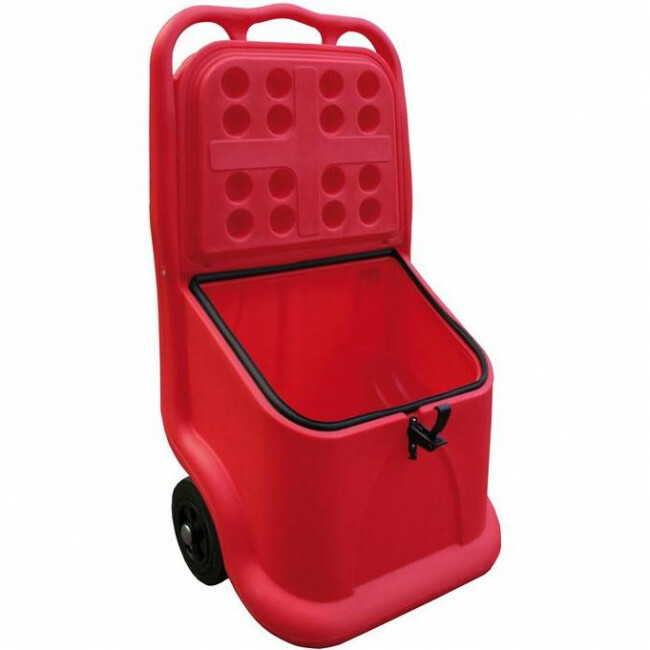 Large 75 litre capacity saves continuous refilling. 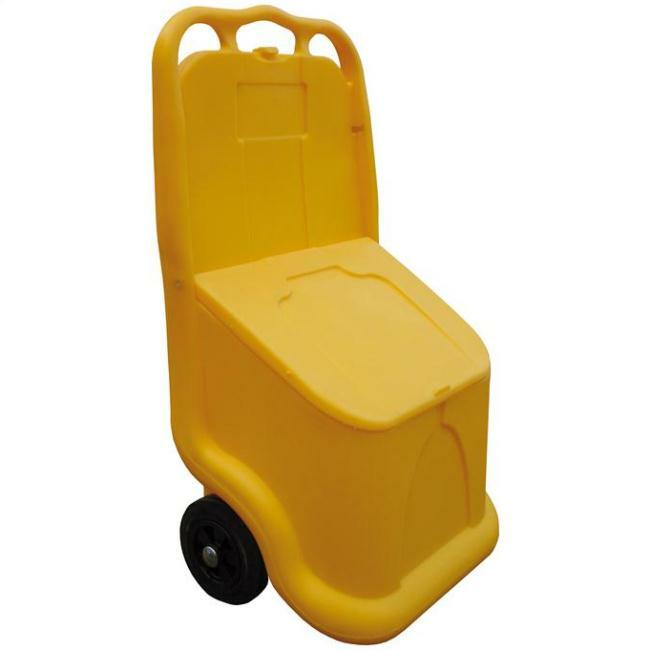 Features a large, ergonomic handle for easy use with outside handles to push and an inside handle to pull the UniKart. 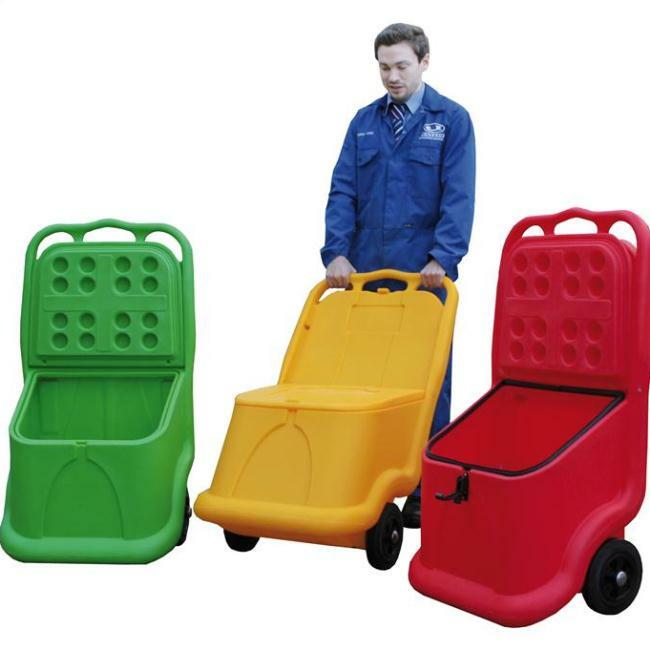 Space efficient design means the UniKart is inter-stackable when not in use, thus taking up a smaller amount of storage space. Low maintenance required - easy to clean. Available in yellow, green or red.